In honor of World Cup fever, we review the most ludicrous, vaguely soccer themed movie we could find. Air Bud returns (without the original Buddy) for the third installment of the franchise: Air Bud: World Pup! Buddy and a kid who looks like Simon from 7th Heaven (Kevin Zegers) join the school’s new soccer team to impress their respective beaus: a fake British girl Emma (Brittany Paige Bouck), and her unspayed Golden Retriever. While Simon woos the girl with Natural Born Killers sunglasses and leather jackets, Buddy makes sundaes and shows up for nightly booty calls. Meanwhile, a former dog catcher Snerbert (played by Martin Ferrero, the lawyer from Jurassic Park) stakes out Emma’s ridiculous mansion in an attempt to kidnap her dog for some reason. There’s also something about a dog playing soccer. This episode features special guest and Chris’s sister Sarah Dobson, an expert in soccer, England, dog-ownership, and being a girl in the early 2000s. 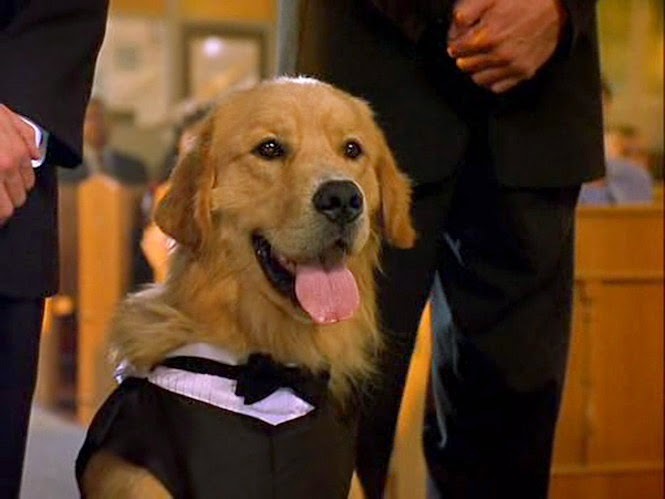 The Air Bud franchise was inspired by a real dog and amazing talent Buddy, who made frequent appearances on Letterman and played Comet on Full House. He was found as a stray by his owner in the Sierra Nevada mountains. With the creepy "Simon watching British girl crabwalk" scene, we had some fun syncing up other music to accompany it. Some notable ones include: Taxi Dogger, Suspupia, The Exhowlcist, and Muttholland Drive. Air Bud: World Pup is available streaming on Netflix, streaming rent on Amazon, and on DVD proper.